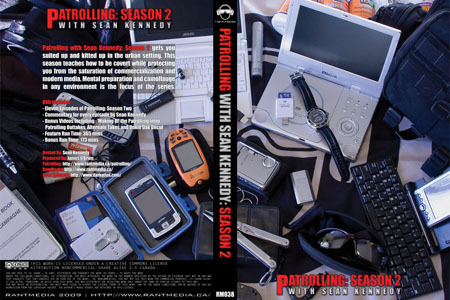 Season Two of Patrolling with Sean Kennedy gets you good to go in the urban environment. This season covers covert action for all Wog reality E&E missions while providing tips so you can defeat the media programming that increasingly permeates our cities. Includes all eleven episodes in Patrolling Season Two along with FULL commentary for every episode. Also features almost three hours of bonus material including: Making Of the Patrolling Two Intro, Patrolling Outtakes, Alternate Takes and Unkle Dak Uncut and hidden easter eggs!